There are times when I am seriously jealous of couples. Like when I see them show up at their kids sporting or school events together. I'm always the parent sitting with the other stray women whose husbands either had more important things to do, or like me, are single parents. When I over hear him tell people that he is lucky to have her. I don't think I've ever dated anyone that felt like this. When I see old people helping each other. I once knew a couple, she was dying from COPD (lung issues). Every morning he would get up early and go have coffee with his friends and on the way home would buy her, her favorite Krispy Kreme donuts and bring it home to her. He told me he knew he could buy a box of them, but he knew hot and fresh was better. He's then sit with her while she ate. Time with friends is important but I adored how he carved out special time for her too. He made it special without her having to ask for it. Yes they lived together and he saw her all the time, but he didn't make her feel like she should be grateful that she got to spend time with him and that he was escaping to visit friends. Another elderly couple were both feeble and half blind but he always opened the door for her and helped her out. It was super sweet to watch. Then there are times that I am so grateful that I don't have to worry about it. I train staff in addition to my day job. If you work in child care in Kentucky (not sure about other states) you have to have 15 hours of professional development training every year. Saturday I did a training. One of my participants was an older lady. After the training as I was cleaning up our space she came back telling me she locked her keys in the car. She asked to use a phone to call her husband. While she attempted to tell him where her spare key was, he was berating her. It was so loud I could here him yelling about how she will never change and how she should put her keys where he leaves his. Blah blah. I felt sorry for her. His reaction was definitely over kill. Hell I lock my keys in the car fairly often. I once locked my house keys in the house so often I made 5 extra sets of the key and scattered it around my car and bags so I would always have one. She looked embarrassed that he was behaving like this. I would dread going home to that. 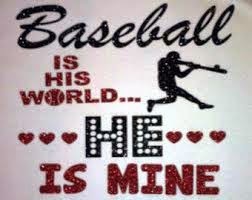 Why in the world would you want to be in a relationship where he values a sport over you? I have 2 friends that were together on high school. Broke up because he was cheating, years later they get back together, get married and have 2 kids. He trolls for women on facebook and Craigslist that I know for sure about. It may also be dating sites but I know for sure of those two places. I don't want to have to worry about who my partner is talking to online, or what they are saying. If you are deleting messages so your signifigant other can't see them, then you are cheating. It may not be physical but its something. Otherwise why be so afraid you delete the message? I'd rather not have to deal with that drama. I totally get this. I'm in a relationship and we're happy and I'm grateful for it. But then I also see the mess a friend's marriage is in, and how unhappy a couple of my "happily married" friends are on a day to day basis and it scares me a bit. I don't think Significant and I are on a path to anything like that, but the simple truth is that a high proportion of marriages fail, and there's going to be bad times even if it doesn't end in divorce. And I guess it also scares me how many people are so focused on obtaining a relationship that they'll stay in a bad one rather than be single. There are other factors to think about! I am totally with you. I would definitely rather be in no relationship than in a bad one. Before I made the decision to start dating again, it was hard for me to see happy couples and not feel jealous of them. Now, instead of feeling jealous, I feel incredibly blessed. But I'm also trying to be mindful of people who aren't as lucky as I am. I'll be married to my husband for twelve years next month. He can be an A** but we get along for the most part. He cherishes me and puts my needs first. I think people shouldn't be in a relationship just for the sake of being in one. If a partner is a total dud, it's time to move on and being single is much better. I soooo agree. I have terrible taste I keep picking duds.